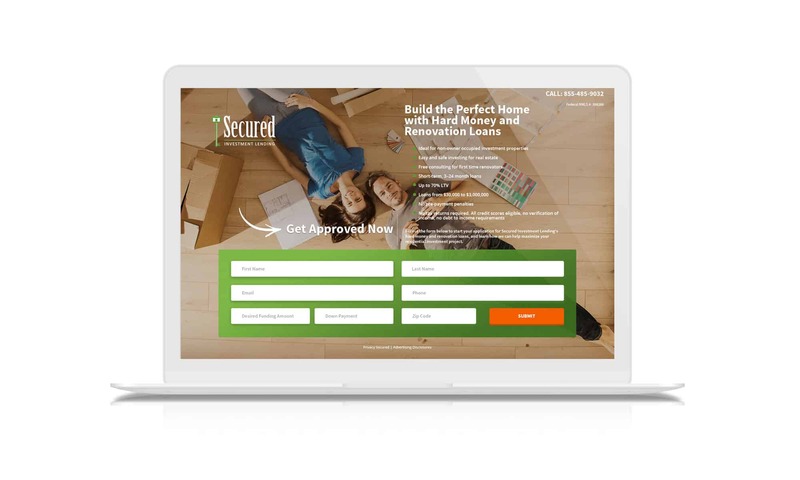 A partner to real estate entrepreneurs, Secured Investment Lending (SIL) provides a lending solution for investors searching for capital to buy and renovate distressed properties to renovate. As these properties may not qualify for conventional bank financing, SIL offers an array of loan products to fit the needs of these unique real estate investments, including hard money renovation, 90-day short term loans, transactional funding and commercial loans. With such a niche segment of prospective clients, SIL needed a strong, integrated digital marketing strategy. Experienced in crafting and implementing efficient SEO and robust SEM campaigns, our team hit the ground running to generate new, qualified leads for SIL through targeted interactive initiatives. With goals of delivering SIL’s message to a very specific target, we researched their audience to determine who we were talking to, where they are and what they were searching for. We then developed an integrated approach to bring in organic and paid leads, researching competitors and developing ad copy utilizing the best keywords to bring in those leads. 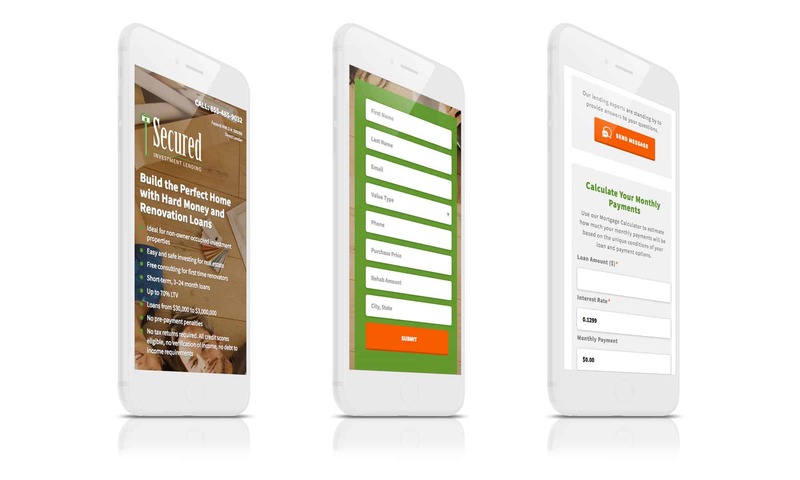 Prior to launching our paid approach, we created unique landing pages for each one of Secured Investment Lending’s loan products, each with a clear call to action—“Apply today.” We then setup a dynamic phone number, so that we could see what leads we were bringing in from which keywords and whether they were organic or paid. This would help us determine which keywords gave us the best ROI so we were able to tailor our approach in real-time. Following the implementation of our digital marketing strategy, we saw a 1,475% increase in web traffic, a 33% decrease in bounce rate and a 324% increase in conversions. Organic traffic to the site also increased by 446%, growing visibility for Secured Investment Lending amongst their key target audiences.